Now is Hungry Ghost Month, so it’s a good time to talk about the spiritual world. 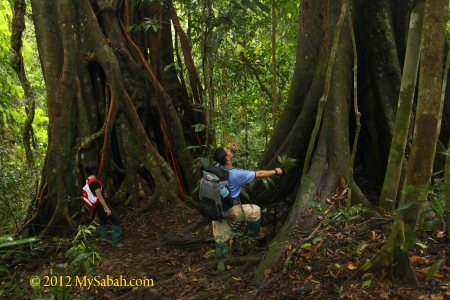 Borneo forest was used to be the most mysterious area on earth, only adventurers dared to explore it. 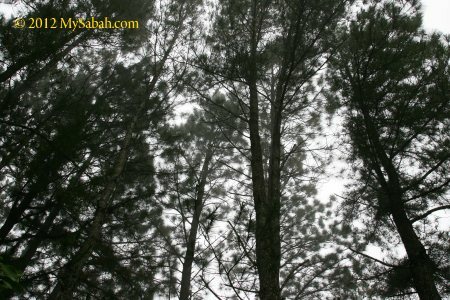 Today, even tourists can visit our forest, but it is still full of mystery and many visitors have unexplainable experience. 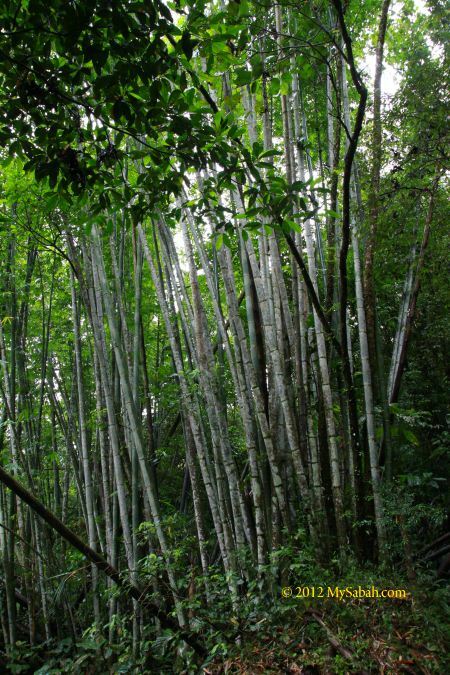 Like Indians who believe everything has a soul, the locals believe the forest is the world of spirits. Therefore, we have a set of rules to follow when we go into the forest, especially the undisturbed forest. I hear many scary stories of someone whom I know breaking the rules. 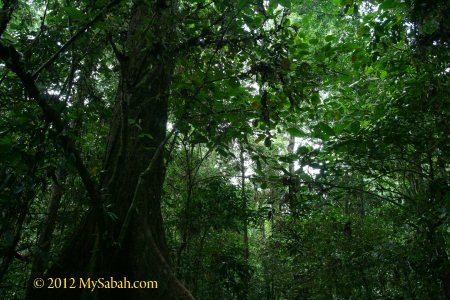 Below is a list of 10 Big No-No in Borneo forest. Old folks would advise you to say “Excuse Me” before you pee in the jungle, though there is nobody around. This is to inform the “invisible” entity to give way, so you won’t pee on them. Btw, any language will work as “they” can read your mind. I have relatives who didn’t believe this and one of them even purposely peed at the grave. So, at night he saw a man standing next to his bed and stared at him angrily. He was terrified for a few days until he went to the site to apologize, then the spirit left. Never pee at termite nest, big tree and boulder, which can be the home of the spirits. Peeing at river and stream is not a good idea too. Urinate at sacred sites such as Mt. Kinabalu can bring serious consequences, case in point, a group of 10 disrespectful foreign tourists were blamed for causing a magnitude 6 earthquake. Most people think that it’s only a coincidence, but they get more angry with these fools anyway. Our forest is rich in biodiversity, so is the forms of spirit. If you see, hear and smell something weird or unknown in the forest, just keep quiet and move on. For example, you would smell something stink or fragrant, so strong that as if it’s just next to you, or you might suddenly feel a chill in your spine for no reason. Do NOT mention it or ask your friend what it is. It’s probably a spirit comes to check you out or tries to play a trick to lure you. If you respond, it’ll follow you. If you ignore it, it’ll vanish. My ex-classmates didn’t ignore this at Kinabalu Park, so they found 2 “extra” misty human figures in group photo. Some of my friends even hear someone calling their names or foot steps behind. No matter what, don’t go off-trail to investigate. Curiosity kills the cat. Whoever enters the forest is an outsider invading the territory of the spirits. Usually they don’t bother until someone disturbs them with noise. If you have been to Mt. Kinabalu, you would recall your guide advised you not to be noisy. According to the locals, Mt. 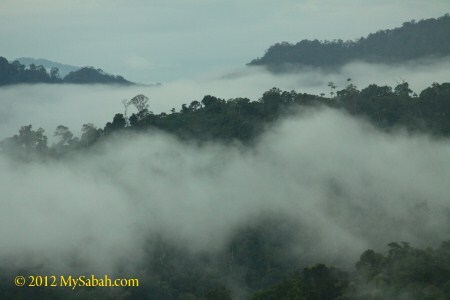 Kinabalu is the resting place of the death. Student is the most annoying group. Despite advised by guide, they are negligent and soon forget about it. Then the mountain is echoed with their loud noise and laughter. Then later at night, some of them would be harassed by black shadow during bedtime. I had heard so many cases like this. 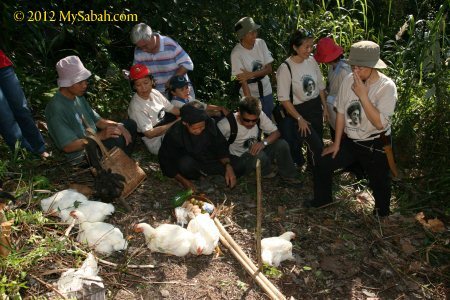 Jungle trekking can be unpleasant to most people, as Borneo forest is dark, warm and humid. People start to complain when they sweat profusely or get tired. Remember, something is seeing you and hearing you. Your negative attitude will be a magnet for negative energy and that includes bad luck. Sooner or later, you would see the whiner getting into trouble such as a bad fall. Your positive qi (energy) is your best defense. Keep swearing doesn’t help, it will only worsen the situation. If you see anything ugly or funny in a forest, don’t make fun or laugh at it. I know a fellow from Kuala Penyu who laughed at an ugly old tree, then he lost in jungle and almost died of dehydration. According to him, he followed his “friend” in front of him, but his friend didn’t talk and respond to him. Actually it was a spirit that disguised as his friend and made him lost in the wood. Most local hunters know this rule. The locals tell me that meat, especially raw pork, will attract something undesirable. In certain culture, it is even considered a taboo to talk about food in the forest. I heard story of a driver who brought meat in the car felt that the car became “heavy” when he drove in forest area of Tambunan road. 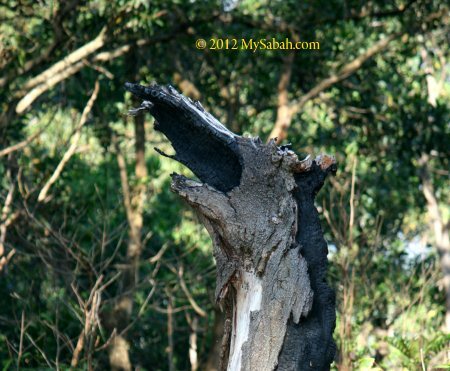 One of my friends even saw a tall and black human figure with red eyes at roadside of Papar. Leave everything in place as it is. Take nothing but photograph. Keep in mind that the forest is the property of others. That’s why workers of logging companies are strong believers of Feng Shui and God of Earth (Dato). 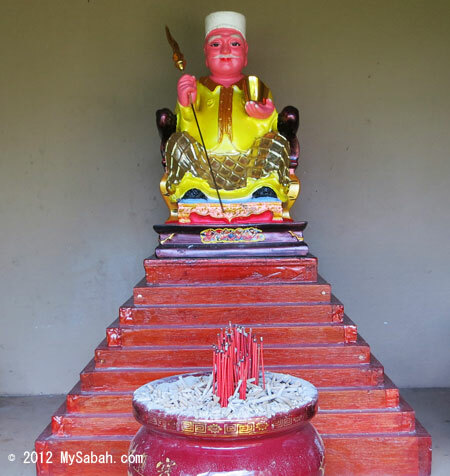 You can see them worship Dato (拿督公 in Chinese) in their forest campsites. The spirits hate the loggers so much that the workers need the protection from the God of Earth. If you have to take something, ask for permission (say to the air), and you better leave something behind as an “exchange”. However, if you take anything in national park, no matter it is live or dead specimen, it’s stealing and you will be fined RM1,000 or more. So just don’t do it. 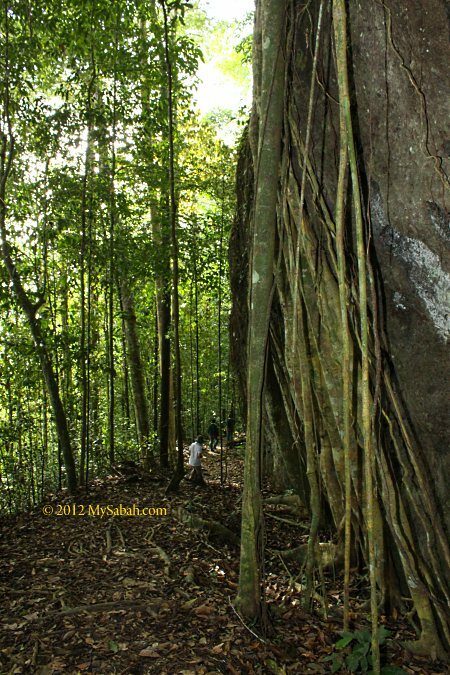 Based on common belief of locals, Bambangan, Banana, Banyan and Bamboo are the most haunted trees of Borneo. There are many ghost stories related to these trees too. If you camp in the jungle, stay far away from them. I have a friend who was a girl scout and camped a lot in the wilderness. She said one day a hammock next to a banana tree spin like crazy and freak out everyone. Personally I saw fireball with tail hovering in bamboo forest. My late grandmother said it’s the spirit of the newly deceased. Every living thing is the “citizen” of the forest. It is understandable that people may consume them for living, but it is unforgivable to torture or make fun of them. I was told that a group of hunters caught a monkey. They put cigarette in the mouth of dead monkey and had good laugh of it. That night an unusual strong wind blew away their camp. Without pollution, the river in deep jungle is crystal clean and we will swim. Be careful, my Long Pasia guide warned. 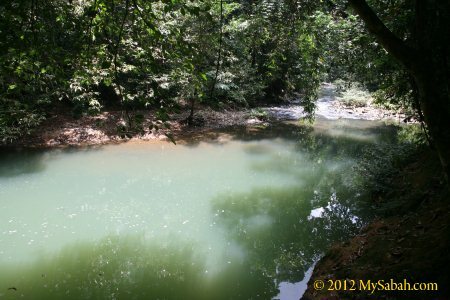 Before entering the water in remote area, we should throw lime or a pinch of salt into the river to cleanse it. During camping, he also advised us not to sleep in parallel direction with the river. Or we would find that we are relocated to another location in next morning. This has happened to his guests. Weird huh? Call me superstitious if you want. Well, many broke the rule but nothing bad happened to them, so you can remain skeptical. Anyway, the rules are easy and won’t cost you anything. Four rules have something to do with our mouth, so just shut up in the forest, haha. This notice in Kinabalu Park reminds “naughty” tourists to behave themselves. For those who don’t listen to the old folks, they would experience bad consequences such as incubus and sickness. In serious case, it could be bad weather, accident, lost in jungle or being haunted. 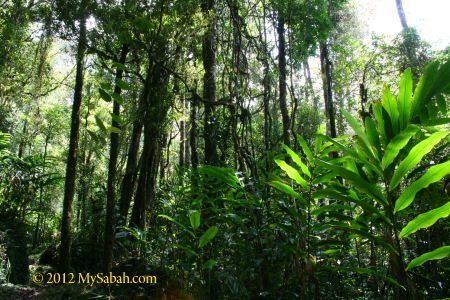 Though most Sabahans are converted to Christians or Muslims, most of us believe there is another kind of energy living in the forest. Another reason to follow the rules is to show that you respect the cultures and belief of locals, no matter you believe it or not. I’ve walked hundred Kilometers in forest and never harassed by any spirit. Just Respect the forest. Before I enter any forest, I “talk” to them, saying that I’m just a friendly visitor and don’t mean to disturb them. When I walk in the jungle, I praise everything I see and thank them for the nice surrounding. In almost every case, the moment I walked out of jungle, it rained, as if they waited until I finished my journey. It happens so many times that I can’t believe it’s just a coincidence. I’m trying to say, they will be nice to you if you respect them. 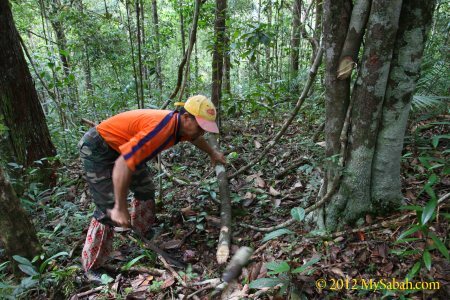 If you enter a remote pristine forest, it’s also advisable to bring a local villager / guide with you. The spirits would be less hostile if they see you coming with someone they know. For safety reason, the locals know the place well too. Do you know the locals appease the spirits of Mt. 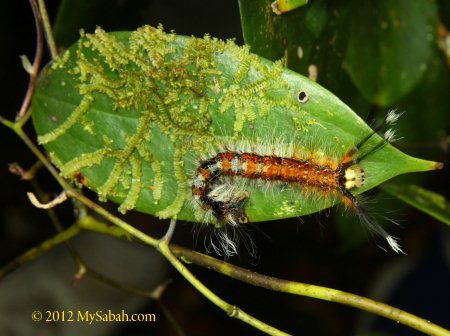 Kinabalu annually, to protect the climbers? 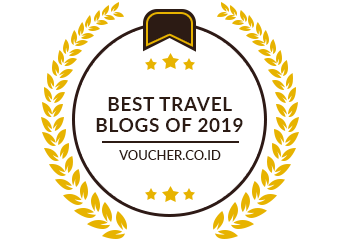 For high-risk expedition, you can request a local shaman (locally known as Bomoh) or high priest (Bobolian) to appease the spirits for a smooth journey. 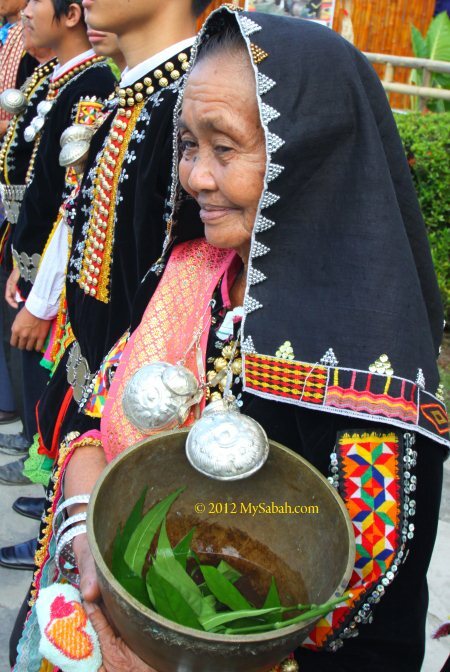 They also can neutralize the curse or chase away the evil spirits, if you get one from the forest. However, if you don’t feel alright after a jungle trip, the first thing you should do is to see a doctor instead of Bomoh. It could be allergy, food poisoning, viral infection, Malaria, etc., a 99% chance that there is a scientific explanation.